Invoicing and collecting payment can be time-consuming. You did your part for the client. Maybe you delivered your service based on a proposed timeline, shipped a product right away, or just met your work deadlines. So why is it so hard for people to be on time when they send your payment? It just doesn’t seem fair. In order to sidestep a financial headache and help your clients play a little better in the payment sandbox, here are some tips to keep in mind. 1. Make sure the invoice is actually being delivered. People might not see your invoice because it’s not going straight to their primary inbox. They’ll have to check a different area of their email to find it. If they don’t have a bookkeeper, aren’t in the habit of doing this or don’t have a set day and time to pay their invoices, you might receive payment at random times. For example, I use Gmail and when someone sends me an invoice, it goes to the updates tab. It is not in my primary inbox so it’s not in front of my face when I check my email daily. If I don’t remind myself to actively check that tab, I sometimes forget. For this reason, I set an ongoing reminder on my calendar. If I had a harried morning or have a kink in my schedule, I can rest assured that the reminder will allow me to pay on time. Since I follow a schedule that stays the same for the most part, I purposely set the reminder at a time when I know I’ll most likely be sitting at my desk. If I do this at other times, I might be in transit or attending to other parts of my routine that can’t be interrupted. I take this extra step because I like to be paid as soon as possible and want to do the same when I pay someone. You can explain how this happens in your correspondence to give them a heads up before deciding to work together. If that seems awkward, you can also slide it into an in-person conversation or on a call. It’s customary for people to tell others to check their spam folder. So that can be the perfect time to let them know about how the invoice may go to that tab. 2. Commit to clear a payment schedule. No matter if you send an invoice once a month, twice a month, etc., be sure to bill people at a set time. While certain payment cycles make more sense for different types of work, sometimes you have to craft things to work for you. Some people find it easier to handle invoices all at once and do everything monthly while other makes sure they are paid on the first and the fifteenth. Others might expect half of the total upfront and the other half upon completion. Whatever the case, set clear expectations from the beginning and follow through on your end. It sets the tone from the beginning and saves time possibly clarifying after the fact. 3. Get a handle on multiple billing cycles. If you offer a variety of services that lend themselves to different billing cycles, you might have to manage multiple cycles. You can still get a cadence down and streamline a process to bill in an efficient way. You just have to make sure you know what to do with each client and when. You might want to create a spreadsheet of the terms you set up with different clients. You may also want to make a checklist of procedures. This can come in handy if you haven’t followed a certain process in a while. You can readily access every step in the process and make sure you don’t forget anything important. You also want to keep any documents handy that have payment terms in them like a contract with a proposed timeline. Following through on the terms you lay out initially is key. If you bill the person late, they might not think you are attentive to your billing and think it’s okay to pay you late. You can’t complain about being paid on time if you don’t even bill on time. 4. Streamline a process so you’re not starting from scratch every invoice. Consider using a recurring invoice or an invoice template. If you bill your client the same amount each week or month, put your billing on autopilot. This can free up your time and help you bill consistently so you can get payment in a timely fashion. It also allows you to scale your business better. See if what you currently use to send invoices has this option. 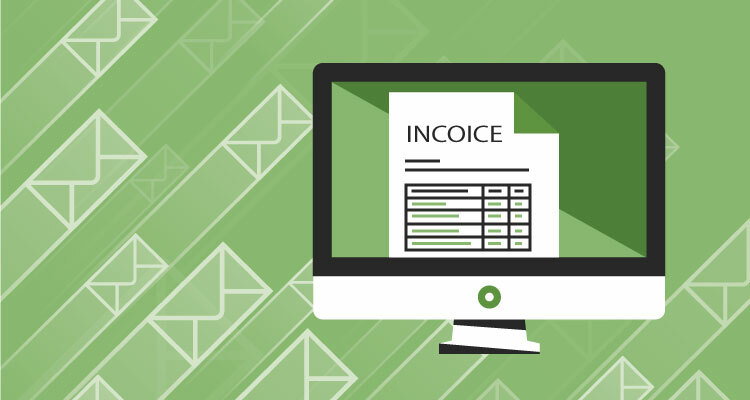 If you don’t have the option to send recurring invoices, look into setting up a template for your invoice with clients you work with on a regular basis. Although you’ll have to actively send the invoice yourself, you won’t have to type in the same information every time you send an invoice. Also, see if you have the option of having a default setting for payment terms. If you need to change any terms for a different client, look back at a previous invoice to cut and paste the terms you previously used with them. This way, you won’t have to dig up your agreement and retype the terms into the invoice every time. Also, if your default terms are the same for all of your clients, but you need to remind the client of something specific like the payment timeline or your new rate, think about using the notes section to customize details that are specific to that client. Then, you won’t have to remember to change a default setting which can be a hassle. Also, it can serve as a reminder for when you’ll charge them. Maybe include a mini recap of your billing cycle. No matter what you decide, make an attempt to work more efficiently. You can better manage your time, possibly take on more work and get paid sooner. It will allow your business to run smoother and you won’t have to devote extra time to chasing down payments.